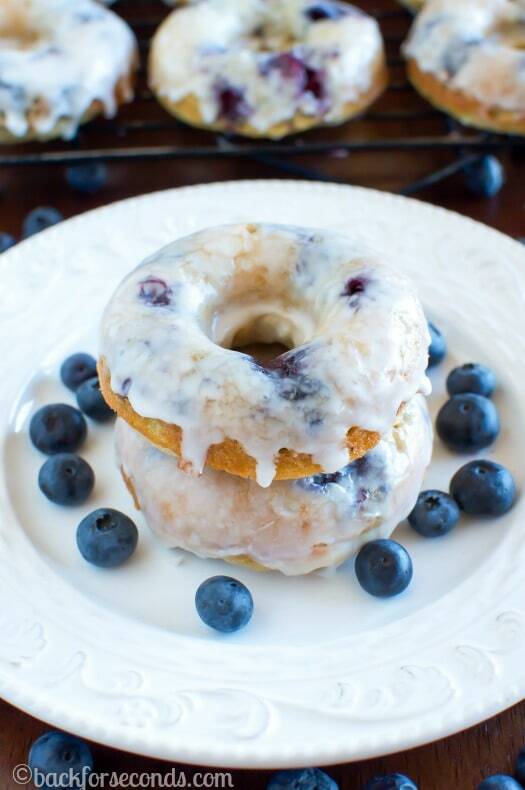 These Glazed Blueberry Cake Donuts are easy to make at home, and everyone will love them! They are baked, not fried, and they come together so quickly! My kids get so excited when I pull out my donut pan. They LOVE donuts!! 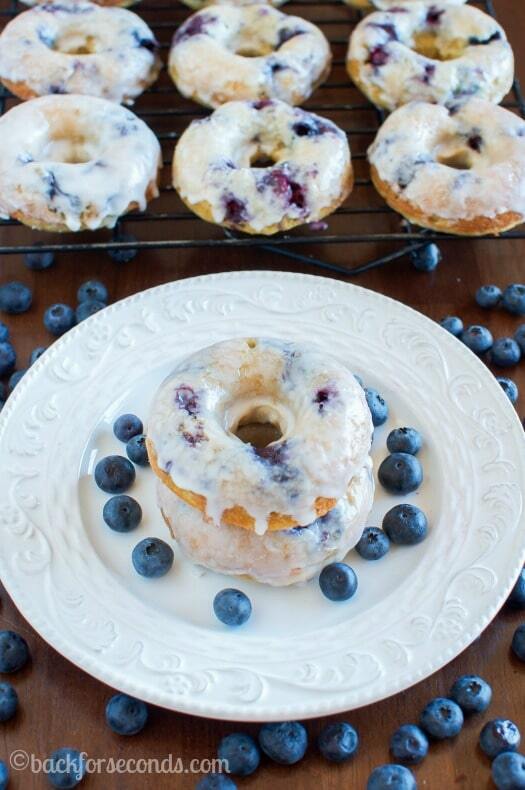 Blueberries are one of my favorite things, so it was time I made some Glazed Blueberry Cake Donuts for my family. Let me tell you, they didn’t last 24 hours. These are AWESOME! I love making baked donuts at home. Not only are they healthier than frying, but they come together so quickly. The batter only takes a few minutes to mix up, and they take just 9 minutes in the oven. Plus it’s so fun to come up with different mix-ins and glazes! Like any donut, these are really taste best if eaten right away. Of course, if your family is anything like mine, that won’t be an issue 😉 Enjoy! « Thick and Chewy Brown Sugar Cookies and $100 Giveaway! These look TOO GOOD!!! I need one!! I haven’t had a donut in probably over a year and I have no idea why! I SO want to make these. They scream spring to me and I need spring-y things in my life with the cold weather we’ve been having. 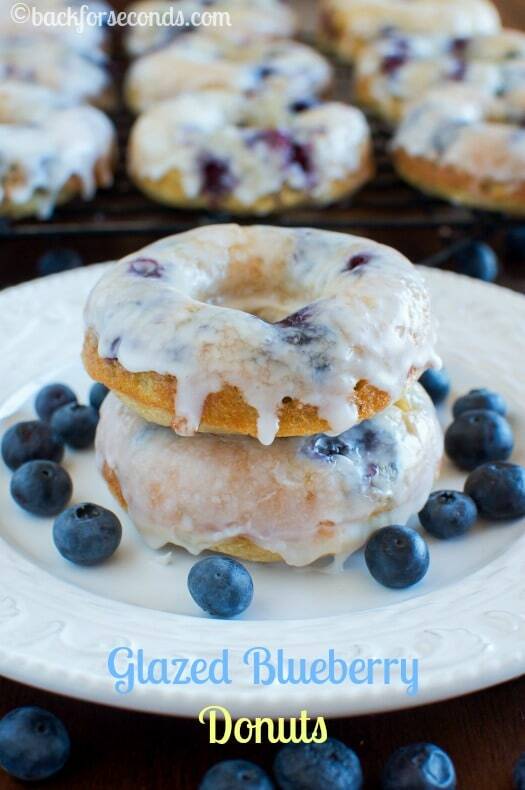 I love blueberry donuts – these look perfect! I LOVE blueberries. I’d love to have one of these yummy little bites right now. Thanks for sharing! When my daughter and I saw these on Instagram the other day, we were both instantly in love! Pinned! I would be just as excited seeing the donut pan! Looks yummy! I bought a donut pan forever ago, but I’ve only used it a handful of times. You inspired me to pull it out this weekend! My family is totally in love with doughnuts! 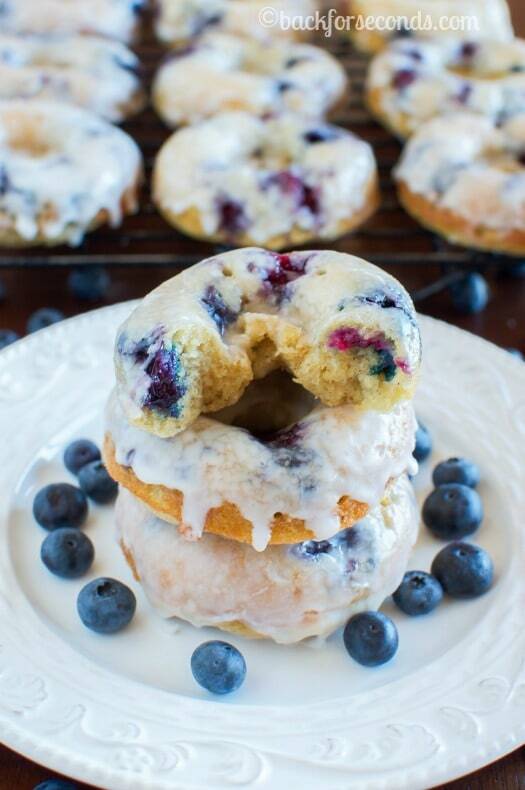 Can you tell me what kind of doughnut pan you use?